Eureka Pumps AS has been awarded a service contract for pumps from Eni Norge AS. 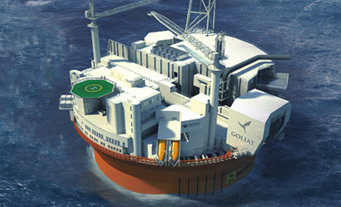 The Frame Agreement is related to scope of work on the new built offshore production facility named Goliat. The agreement is valid for three years with an option for two plus two year’s extension period. Eureka Pumps AS is a Norwegian pump supplier with more than 35 years of experience in the oil and gas industry, offering a range of pumps and generator sets that covers a majority of applications. Eureka supplies to new builds and operates advanced maintenance and service. The company also offers services for upgrading, modification, equipment testing, installation and commissioning. Eureka Pumps is a market leader among companies operating on the Norwegian Continental shelf, and is also present in international markets with selected applications, based on own technology. Eureka’s main office is at Lysaker, and has branch offices at strategic locations along the Norwegian coast. Eureka also has offices in St.Johns, Houston, Busan, Kuala Lumpur and Perth.